Metal sheds are a great addition to an outdoor space, and these 5x8 sheds are no exception. This popular size is large enough to store plenty of your belongings, protected from the elements by corrosion-resistant, galvanised steel. 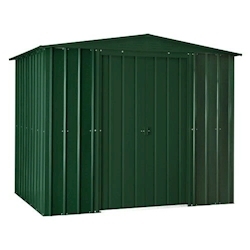 Lotus sheds are strong, sturdy and built to last - featuring a 15 year guarantee for your peace of mind.